Homeowners in Suffolk County are no strangers to floods. Water damage is a devastating and far too common consequence of local flooding and severe weather. If you’re new to the area, of if you’ve been fortunate enough to avoid home flooding up to this point, you may not know what to expect if your home is flooded. To help you prepare for the worst, here’s a look at the damages and cleanup requirements you can expect if your home is flooded in Center Moriches. 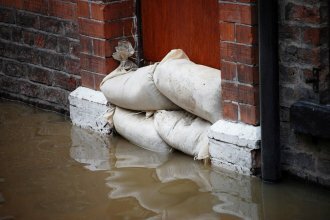 Flooding can cause wide reaching damage inside your home. The extent of the damage will depend largely on how severe the flooding is. 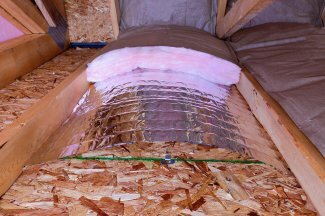 For example, while a burst pipe in the bathroom or kitchen may result in drywall damage and mold, a flash flood may damage your home’s electrical system, contaminate every surface inside your home, and destroy furniture and household items in addition to ceiling and wall damage and mold growth. After you discover that your home is flooded, call your insurance agent as soon as possible. If you have flood insurance, an adjuster will contact you to discuss the extent of the damage to your home. Thoroughly document all damages to your home by taking photos and video of the water damage. A water damage restoration provider can also help you deal with your insurance company or adjuster to get every penny you need to restore your home. The cleanup process will depend entirely on the extent of the damage. For the most part, all water damage cleanup jobs begin by removing the water and drying out your home. Next, the crew will focus on getting rid of any mold present in your home. Water damage restoration professionals will also inspect structural components (studs, ceilings, walls, etc.) for damage. Mold can spread quickly throughout a home, especially in the wake of indoor flooding. Unfortunately, mold can pose a hazard to your health and your property. While a large number of molds are relatively harmless, there are some that have been linked to serious health issues. One of the most dangerous types of indoor mold is Stachybotrys chartarum , also known as “toxic black mold.” If you discover black mold in your home, do not hesitate to contact an EPA-certified mold remediation company in Suffolk County . The sooner you contact a mold removal expert, the lower your risk of developing the following symptoms linked to black mold exposure. The mycotoxins produced by toxic black mold create irritation inside a person’s air passages. They can also become lodged in the mucus membranes and the lungs, which can lead to serious respiratory infections and diseases. Swelling and bleeding of the lungs is also a possible symptoms of prolonged exposure to black mold. Toxic black mold mycotoxins can be breathed in, ingested, or absorbed through a person’s skin or eyes. Eventually these mycotoxins find their way into the person’s blood, after which a number of circulatory problems can develop. Common circulatory problems associated with black mold exposure include irregular heartbeat, heart inflammation, blood clotting, and internal hemorrhaging. 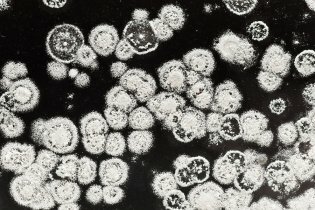 The trichothecene mycotoxins produced by toxic black mold are neurotoxic, which means they attack neurons in the brain and impair a person’s mental ability. The mental and neurological symptoms of black mold exposure include confusion, disorientation, dizziness, memory loss, anxiety, depression, and other personality changes. Schedule a mold inspection if you notice these or other unusual and sudden mental symptoms. Black mold also puts out chemicals that suppress the immune system. Individuals who are immunocompromised as the result of black mold exposure will more easily and more frequently develop infections and sicknesses. If you are constantly coming down with infections or sicknesses, schedule a mold inspection to determine if black mold is to blame. There are over 40,000 different types of mold, but only a small percentage of those cause allergic symptoms. Unfortunately, those molds are typically the ones people find inside their homes. Mold spores can cause nose and lung allergies, with symptoms ranging from runny nose and congestion to coughing, shortness of breath, and respiratory infection. Watch this video to hear from Dr. Bob Overholt on behalf of the Allergy, Asthma & Sinus Center (AASC) to learn more about mold allergies and managing the symptoms of mold allergies. If you’re suffering from severe indoor allergies, schedule a mold inspection with an EPA-certified mold remediation provider in The Hamptons . If mold is discovered in your home, having it removed by a professional will save you time and money versus DIY mold removal. Professional mold remediation will also spare you a severe allergy or asthma attack if you are sensitive to mold.